Welcome to the first monthly review in 2018 of DivGro, my portfolio of dividend growth stocks. This review is quite late as my investment blogging activities are being impacted by a very busy work schedule. In fact, I find it quite difficult to get around to doing some much-needed administration, let alone write a review article! 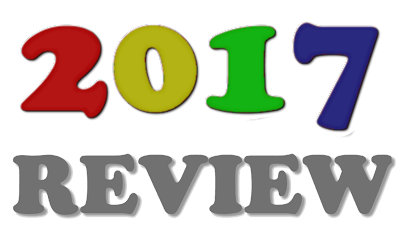 Well, I finally had some time to prepare and write this review for January! This is Part 2 of my January 2018 options update. Part 1 presented the regular options trades I executed in January. But I also executed a new strategy for DivGro, which I'll explain in this article. Specifically, I executed three bull put spreads, which combines the selling of a put option with the simultaneous buying of another put option at a lower strike price. This update will also report on the open options and obligations I have and I'll conclude with a running tally of DivGro's options income to date. Welcome to my first options update article of 2018! I write monthly options update articles to keep track of options trades in my DivGro portfolio. I mostly sell covered calls on dividend growth stocks I own or secured puts on stocks I would like to own. Sometimes, I execute more speculative options trades, too. DivGro is focused on investing in dividend growth stocks, but I added options trading to the mix in June 2016 to boost dividend income. Collecting options income allows me to buy more dividend growth stocks. 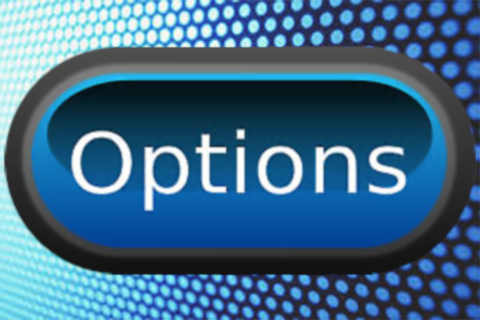 Each options update serves as a status report on open options and obligations I have. I also report new trades and provide a running tally of DivGro's options income to date. Monitoring dividend increases for stocks on my watch is one way to identify candidates for further analysis. Last week, 27 companies on my watch list declared dividend increases, including four stocks I own. Part 1 presented dividend increases of stocks in the Industrials and Information Technology sectors. Part 2 covered dividend increase announcements from stocks in the Financials, Consumer Discretionary, and Real Estate sectors. Here, I cover increases from stocks in the remaining sectors. In the past week, 27 companies on my watch list decided to increase their dividends, including four of the stocks I hold in my portfolio. Part 1 presented dividend increases of stocks in the Industrials and Information Technology sectors. This is Part 2, which covers dividend increase announcements from stocks in the Financials, Consumer Discretionary, and Real Estate sectors. See the upcoming Part 3 for a summary of dividend increases from stocks in the remaining sectors. In the past week, 27 companies on my watch list decided to increase their dividends, including four of the stocks I hold in my portfolio. Part 1 provides a summary of dividend increases announced by stocks in the Industrials and Information Technology sectors. Part 2 will cover dividend increases from stocks in the Financials, Consumer Discretionary, and Real Estate sectors, while Part 3 will cover the remaining sectors. Companies that regularly increase their dividends show confidence in their ability to grow earnings. I monitor dividend increase announcements from stocks in the CCC list. Last week, 26 companies on my watch list declared dividend increases, including 3 stocks I own. Part 1 presented dividend increases from stocks in the Industrials and Information Technology sectors. Part 2 covered dividend increase announcements from stocks in the Financials and Consumer Discretionary sectors. Here, I cover dividend increases from stocks in the remaining sectors. One way to identify dividend growth stocks for further analysis is to monitor dividend increases. I monitor dividend increase announcements from stocks in the CCC list. Last week, 26 companies on my watch list announced dividend increases, including three of the stocks I own. Part 1 presented dividend increases of stocks in the Industrials and Information Technology sectors. This is Part 2, which covers dividend increase announcements from stocks in the Financials and Consumer Discretionary sectors. See the upcoming Part 3 for a summary of dividend increases for stocks in the remaining sectors. Companies can only increase their dividends regularly if they grow earnings sufficiently. 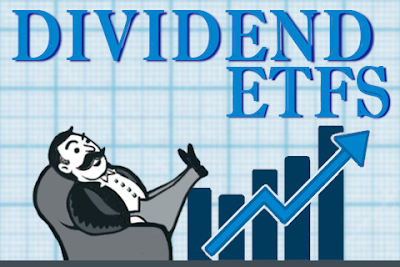 I like monitoring dividend increase announcements because I consider stocks that regularly increase their dividends to be candidates for further analysis. Last week, 26 companies on my watch list announced dividend increases, including three stock I own. Part 1 provides a summary of dividend increases announced by stocks in the Industrials and Information Technology sectors. Part 2 will cover dividend increases from stocks in the Financials and Consumer Discretionary sectors, while Part 3 will cover the remaining sectors. 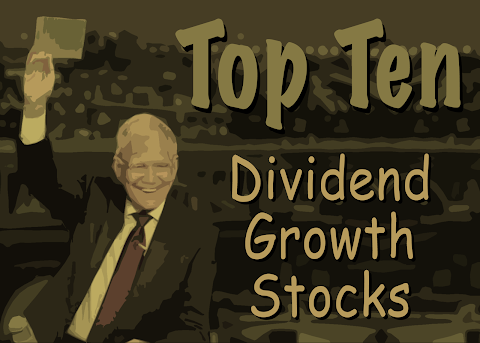 David Fish's CCC list is an excellent source for dividend growth investors. Compiled and updated every month, the CCC list contains U.S. companies with at least 5 consecutive years of increasing dividends. The accompanying spreadsheet provides key statistics of the CCC stocks. In my monthly 10 Dividend Growth Stocks series, I identify 10 CCC stocks worthy of further research. To create the list, I trim the CCC list using various screens and rank the remaining stocks using a proprietary ranking system. I also assign a 7-star rating to each stock. Stocks rated 5 stars or better are worthy of further analysis. I monitor dividend increase announcements for stocks on my watch list. It is one way I look for candidates for my DivGro portfolio. Companies can only raise their dividends regularly if earnings grow sufficiently. This past week, 24 companies on my watch list announced dividend increases. One of these increases is from a stock I own. Part 1 covered dividend increases from the Energy and Real Estate sectors. This is Part 2, which covers dividend increases from the remaining sectors. 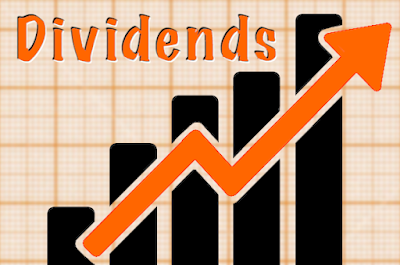 Companies can only raise their dividends regularly if they grow earnings sufficiently. One way to identify dividend growth stocks for further analysis is to monitor dividend increases. Part 1 of this two-part article covers dividend increases from the Energy and Real Estate sectors. Part 2 will cover dividend increases from the remaining sectors. Well, the markets are going nuts and volatility is back big time! As I write this, the CBOE Volatility Index (VIX) is at 42.84, way up from the sub-15 levels it has been at for most of 2017. Stock prices are see-sawing furiously, so I'm questioning the value of writing this article while things are so volatile. But I'm doing it anyway to keep up-to-date with DivGro's home runs. Recall that I use the term home run to describe any position in DivGro that has crossed the 100% mark in total returns. 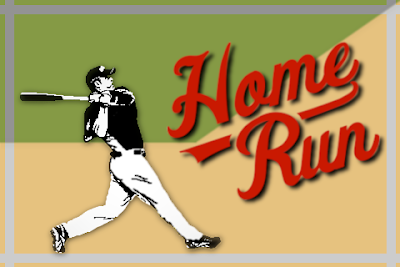 Once a position reaches home run status, it retains that status, even if the share price drops. And that's the case with the home runs I'm reporting today. All three of them reached home run status on Friday, 26 January, but now they're trading below the 100% level. Welcome to the 5th annual review of DivGro, my portfolio of dividend growth stocks. I created DivGro in January 2013 to generate a reliable and growing dividend income stream. Keeping track of DivGro in a public forum helps me to learn and grow as a dividend growth investor. Much of my learning comes from the research I do while writing articles, but I've also learned a lot from interacting with like-minded investors. So, I want to say Thank You! to all my readers for your encouragement, questions, and comments. Please keep it coming! In my annual reviews, I look at DivGro's performance as measured by dividend income, dividend increases, annualized returns, and rate of return. I also look at some highlights of the past year and share my outlook for the coming year. I monitor dividend increases to find suitable candidates for further analysis. In the past week, 32 companies on my watch list declared dividend increases, including 5 of my DivGro holdings. Part 1 covered dividend increases for the Financials sector, while Part 2 presented dividend increases for the Energy and Utilities sectors. This is Part 3, which presents raises from the remaining sectors. Companies that regularly raise their dividends show confidence in their ability to grow earnings. In the past week, 32 companies on my watch list declared dividend increases, including 5 of my DivGro holdings. Part 1 covered dividend increases for the Financials sector. This is Part 2, which presents dividend increases for the Energy and Utilities sectors. Part 3 will present raises from the remaining sectors. I like monitoring dividend increases for stock son my watch list of dividend growth stocks because I consider such stocks to be candidates for further analysis. Recently, 32 companies on my watch list decided to increases their dividends, including 5 of the stocks I own. Part 1 covers dividend increases for the Financials sector, while Part 2 and Part 3 will cover dividend increases for the remaining sectors. As a bonus, I'm including a summary of available ex-dividend dates for the next two weeks.